Yes, here at Northwest Crossing Self Storage we offer RV storage and boat storage. Not just covered parking but garages. Lots of them. All with locking garage doors. Some with automatic garage door openers. Choose from 12’ x 26’ up to 14’ x 40’. Most have at least 12’ tall doors, many have 14’ tall doors. 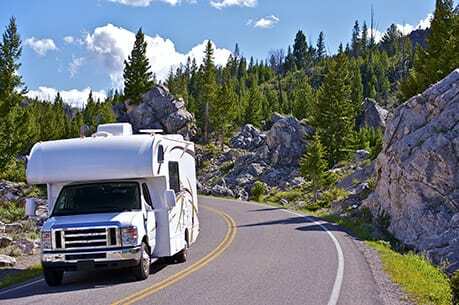 Not only do our locking garages offer more security than covered RV parking, they also protect your RV’s exterior and tires. Have jet skis, sleds, campers or classic cars? One of our 10’ x 20’ might be just right. We have 10’ x 30’ units too. It’s easy to get in and out of our gate too. We have an RV height keypad so you shouldn’t have to get out of your motor home to get in or out. Have a classic car or just want to store one out of the elements for the long term? We have locking garages, some with automatic garage door openers. Choose locking garages from 12’ x 26’ up to 14’ x 40’ with either 12’ or 14’ tall doors. Our large storage units range from 10’ x 20’ up to 10’ x 30’ with 10’ tall doors.